Employer value proposition (EVP) is the way that an organisation demonstrates the characteristics of and appeal for the people who work there. Companies with a clear employer brand benefit from access to 50% more candidates and up to 50% lower hire costs, and 45% of those companies claim increased employee engagement. 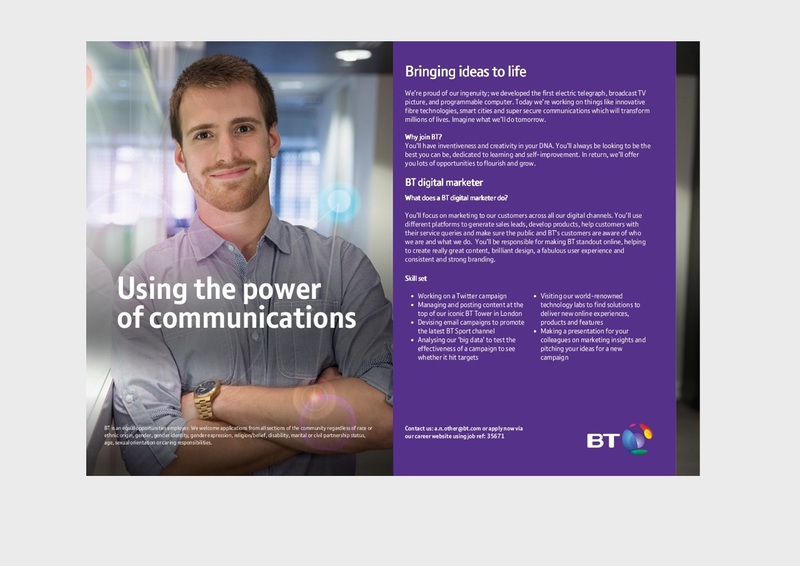 BT Group developed a sound and positive employer brand proposition message framework which they wanted to bring to life using a suite of photographic images that would work across their lines of business throughout the world. That's where we came in. 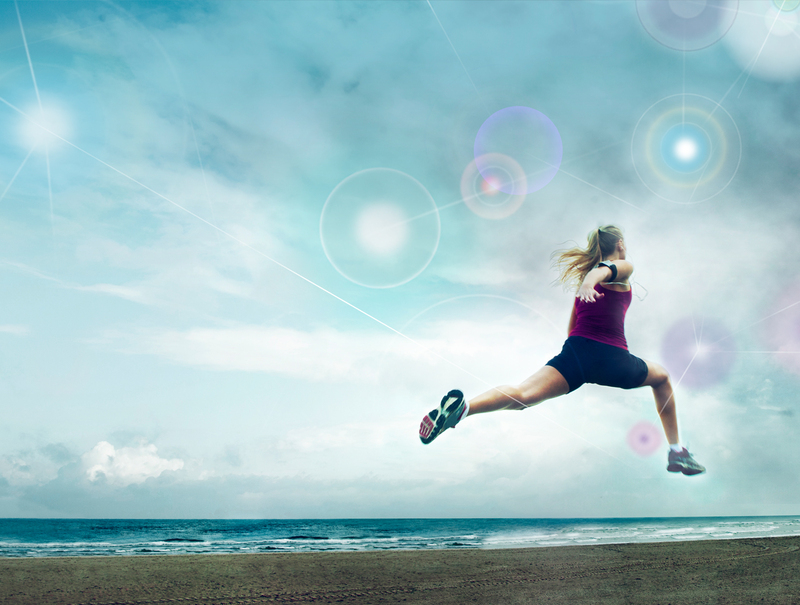 If the employer brand is powerful and stand-out, there's a better chance that the talent and performance of the people that apply will be too. Having studied their messaging, we came up with three image categories in line with BT's brand and values; 'People doing something brilliant'; 'Our people in action'; and 'Customers using our services'. 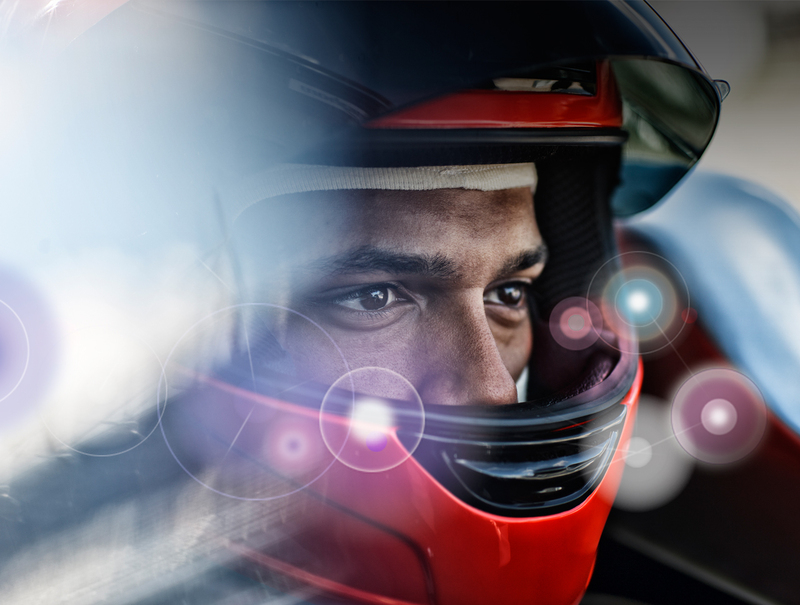 The result was a powerful employer brand proposition that is articulated through evocative copy and arresting images. Our way of thinking caused us to look at the brief in a new dimension to deliver twice the amount of images within the same budget, without sacrificing quality. 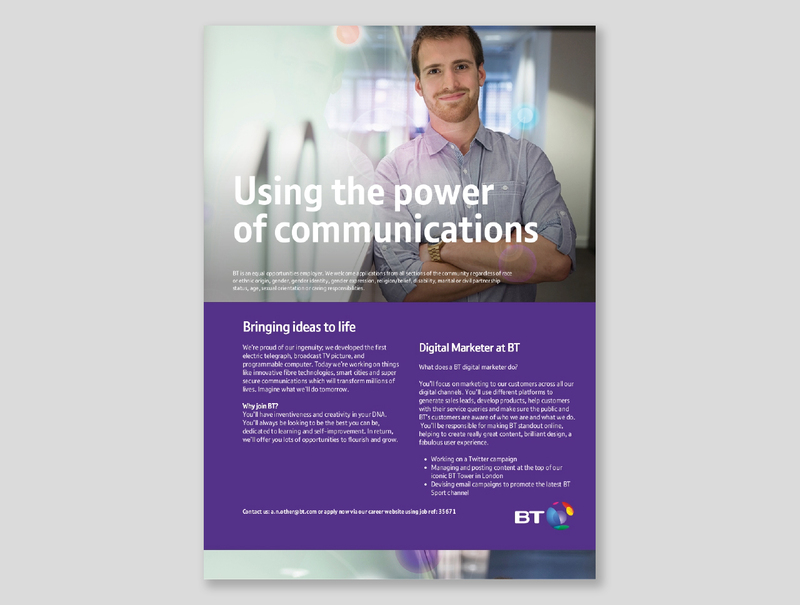 Since recruitment advertising = brand advertising, we added a graphic treatment to each image in line with the core BT Group look and feel which we developed whilst working on the BT Brand refresh. We then created a series of ad templates to allow them to be standardised and used consistently across the business.